Do you have a dinosaur lovers in the house? 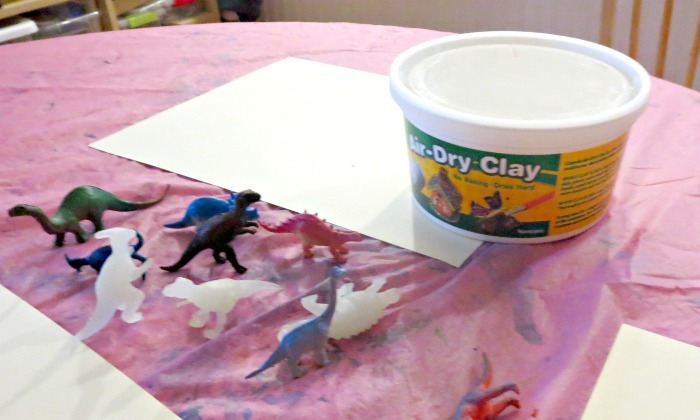 Then they will certainly appreciate making their own special dinosaur ornaments. 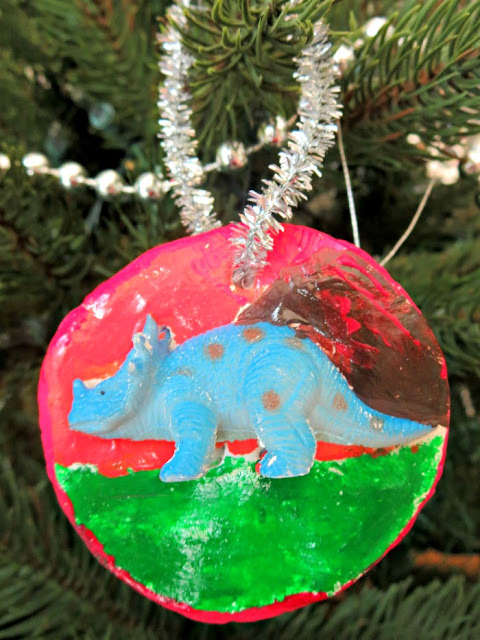 These ornaments are easy enough for preschoolers, keep well over years, and can be given as gifts to friends and family. Roll your clay into a flat shape about 1/2" thick. Use a cookie cutter or an edge of a water glass to cut out a round shape. Make a hole for a future hanger. Firmly press your dinosaur into a dough. Leave it there or lift it to leave a "fossil" print. 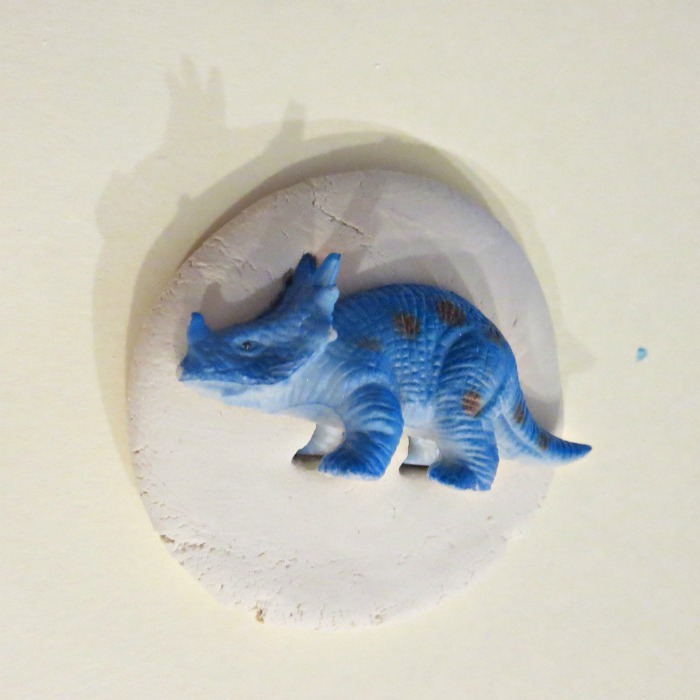 You can choose to leave your ornament unpainted or paint it. We chose to paint a "dino landscape" dominated by a volcano. If you wish, you can put a layer of Mod Podge over your dry ornament to seal paint and add shine. Put in a ribbon or a hanger and enjoy! 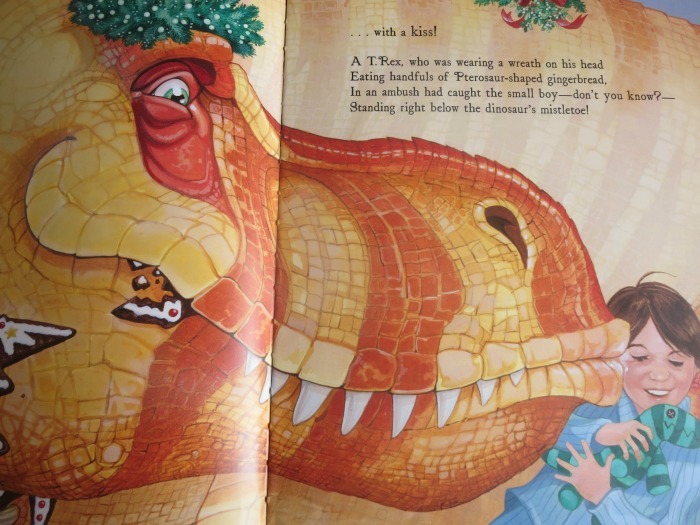 As I mentioned, our original inspiration was learning about Argentina dinosaurs, but we also found a perfect Christmas book to go with it - The Dinosaurs' Night Before Christmas by Anne Muecke, illustrated by Nathan Hale. This is an interesting twist on a classic poem by Clement Clarke Moore where dinosaur fossils in the New York Museum of Natural History are enjoying a visit from Santasaurus. The book and its detailed llustrations will certainly appeal to dinosaur lovers young and old. 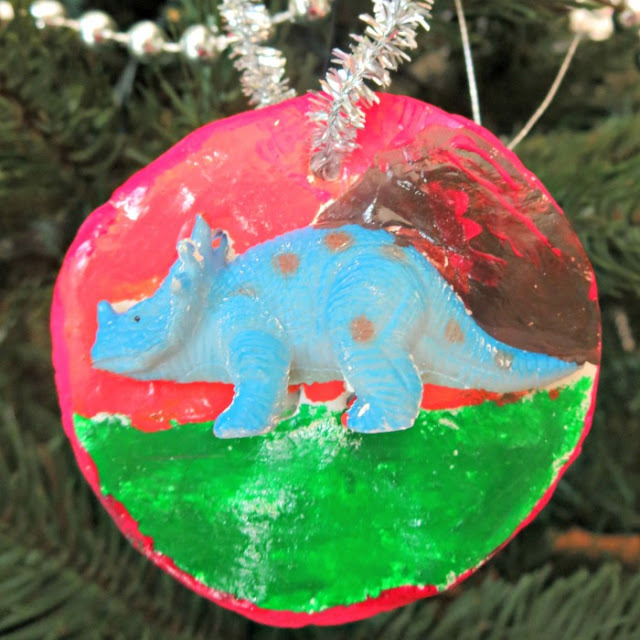 More DIY Ornaments Inspired by Picture Books? 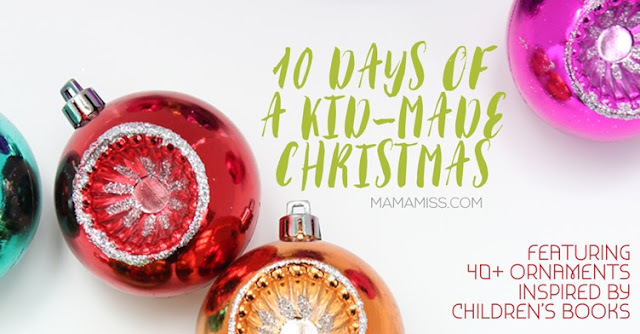 We are delighted to join 10 Days of a Kid-Made Christmas hosted by Mama Miss. 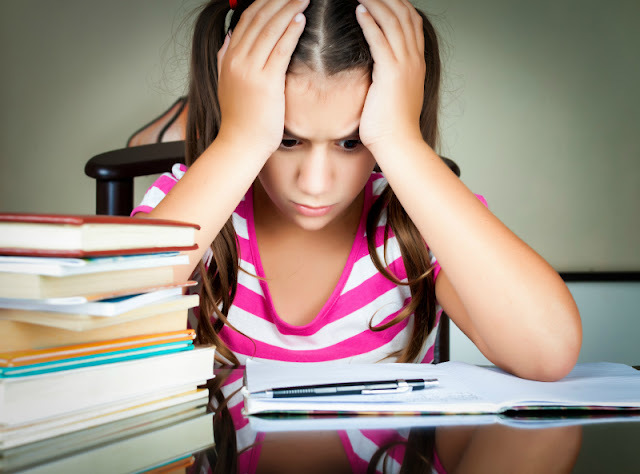 Check out the landing page for fantastic ideas from other kid bloggers! Follow my DIY Ornaments Pinterest board. So cute! And you can easily adapt it to a different topic.